The anonymous producer Enduro Disco is back. 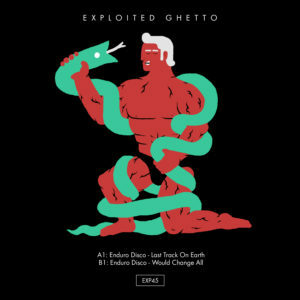 His debut ‘Lion Noir‘ on Exploited Ghetto got praise from DJS across the board including DJ Harvey, Osunlade, Jamie Jones, Adam Port, Jimpster, AME, Laurent Garnier, Dave Aju to name a few. His second release ‘Last Track On Earth‘ is another no-brainer for the floor.